Description: Here's a customized start-up screen patch in preparation for the release of PBA 2K13 mod on PC. 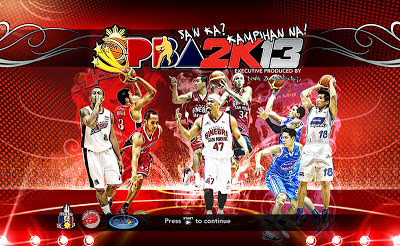 Features: PBA2K13 titlescreen featuring the players from Barangay Ginebra San Miguel, Alaska Aces, and San Mig Coffee Mixers. Installation: Unpack the file into NBA 2K13 game folder.